As winter sets in, thoughts can quickly turn to escaping the cold on a last-minute tropical vacation. 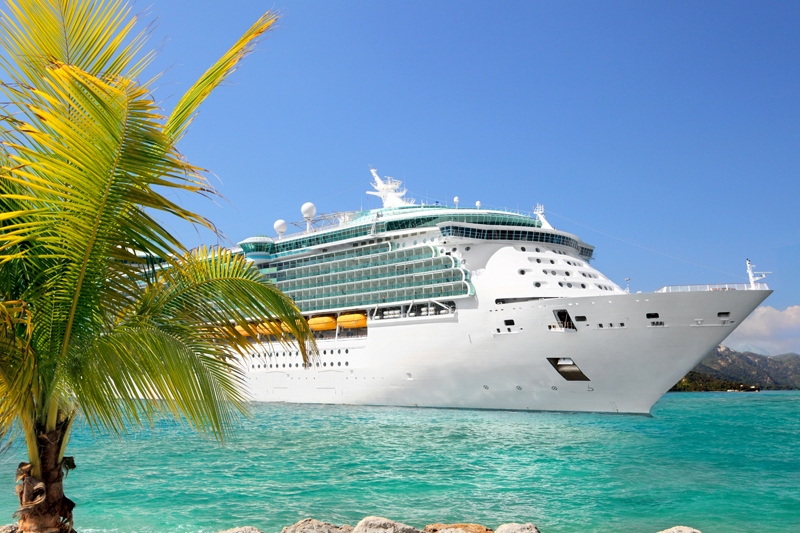 A cruise to the Caribbean, Mexico or the Bahamas may be just the answer. These cruises depart from a wide variety of U.S. ports, making these last-minute vacation options easy and hassle-free. Cruises take vacationers to popular tropical vacation destinations without the hassles and expense of international flights. Driving to one of the many conveniently located U.S. homeports often eliminates the need for domestic flights as well, making cruises even more budget-friendly. Last-minute base cruise fares sometimes dip to less than $300 per person for short cruises to the Bahamas and the Caribbean, particularly during the second half of January. At these prices, it’s hard to beat the value of these tropical cruise vacation options. 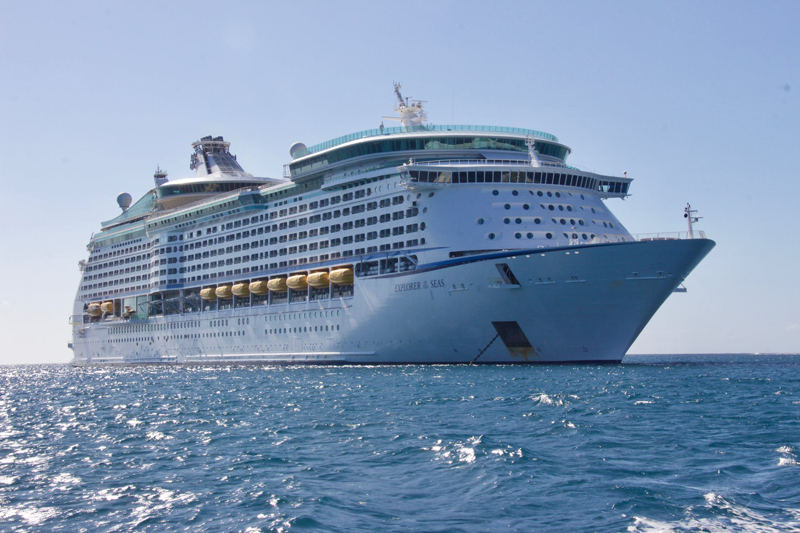 Today’s cruise ships vary in size and amenities. Newer ships often include a wide variety of restaurants and lounges, Broadway-style shows and entertainment, elaborate water parks, ropes courses and outdoor adventures, children’s and teens programs and much more. Itineraries vary, but generally include multiple tropical ports of call and often a day or two at sea. Starting in mid-January, cruise fares can tend to drop significantly through the end of February. In fact, last-minute prices on several cruises to the Bahamas, Mexico and the Caribbean are currently more than 70% off regular fares during this time period. Sites such as VacationsToGo.com, CruiseCompete.com, Cruises.com and others make it easy to find winter cruise deals or you can contact your favorite travel agent for more details. 1. Consider driving to your cruise. Last-minute airfares can often be quite high. Check on current prices for flights to possible embarkation ports before starting your search process. Sites such as Google Flights, Skyscanner.com, Kayak.com and Hopper.com can be good places to start. If fares are too expensive, make plans to drive to your cruise and focus your search on ships departing from convenient embarkation ports. Cruise lines offer sailings from a wide variety of U.S. ports including New York, NY; Bayonne, NJ; Baltimore, MD; Charleston, SC; Jacksonville, FL; Port Canaveral, FL; Fort Lauderdale, FL; Miami, FL; Tampa, FL; Mobile, AL; New Orleans, LA; Galveston, TX; Los Angeles, CA; San Diego, CA and other areas. Parking can be found near all of the cruise terminals. 2. If you must fly, take a direct flight or leave plenty of time for connections. Direct flights can be more expensive, but that’s not always the case. Use a good travel agent or book your flights immediately after you purchase your cruise for the best results. If connecting flights are mandatory for your cruise, make sure to allow plenty of time for connections. This is particularly important in January and February when winter storms can occur. If you have a choice of connection cities, stay away from those prone to bad winter weather and heavy traffic delays. These include such airports as Denver, Chicago, Newark, and New York’s LaGuardia and JFK airports. 3. Pick the right ship. Today’s cruise ships vary significantly in terms of amenities, staterooms, dining and entertainment available onboard. While last-minute cruise options may be limited, it’s important to choose the best available ship for your vacation. Using a travel agent is often a smart bet for booking a last-minute cruise escape. An experienced cruise travel agent can save you time, money and countless vacation hassles. A good cruise travel agent understands the differences between cruise lines, specific ships and their amenities, as well as the various itineraries available. He or she will help select the ship, itinerary, flights and stateroom that's best suited for your needs. In addition, travel agents can also provide valuable assistance if something goes wrong on your trip. 4. Choose your stateroom carefully. Choosing the right stateroom can make a huge difference in cruise enjoyment. Study your ship’s deck plans before reserving any type of cabin. Look for a quiet room away from noisy areas like elevators, lounges, atriums and children’s program facilities. Thoroughly review the deck layouts above and below the cabin you’re considering to see what’s located over and under your room. Stay away from booking staterooms above or below nightclubs, theaters, bars with live music, crew work areas, self-service laundries, sports venues, kitchens, and the main dining rooms and buffet areas. Some frequent cruise guests also shun staterooms right below the ship’s pool to avoid the early morning sound of lounge chairs being arranged on deck. 5. Purchase trip insurance. Make sure to buy trip insurance to protect your cruise vacation investment in case of an unforeseen transportation problem, family illness, or other issue. When purchasing your insurance, however, it’s important to make sure that your flights are wrapped into the coverage. Some vacationers buy insurance directly from their cruise line when purchasing their cruise and then obtain their own flights separately. When a problem arises with their flights, they can find that their trip insurance only covers the cruise. Make sure you understand what is covered by the trip insurance policy you’re purchasing and read the fine print carefully. For best results, call the travel insurance company directly and ask questions over the phone to understand intricate coverage issues. 6. Uncover money-saving discounts. Shop for last-minute deals, special packages, group rates and other offers when buying your cruise. On MSC Cruises, kids 11 and under generally cruise free if they are sharing a stateroom with two adults. Other cruise discounts are often available such as military discounts, senior discounts, past guest discounts, firefighter and EMT discounts, state or regional residency offers, and Interline fares. A good travel agent can alert you to applicable discounts and some, such as those working with CruiseCompete.com, may have special group rates and packages available. Some travel agencies, online sites and travel vendors like Costco may offer cruise deals as well. 7. Arrive early. It’s always smart to arrive at your embarkation port well in advance of your cruise, particularly during the winter months. Snow storms and flight delays can cause havoc during the months of January and February. Plan to arrive at your embarkation port a day before departure to provide some cushion, just in case of bad weather or heavy traffic. That will also allow you to get on board early to get settled and explore.